Learn how to undo reconciliations for your clients. This is only available for QuickBooks Online Accountant. As a ProAdvisor or QuickBooks Online Accountant user, you have a special reconciliation tool. If one of your clients needs to edit several transactions on a past reconciliation, it’s sometimes best to start over from the beginning. Follow these steps to undo the entire reconciliation and get a fresh start. Alternatively, you can also edit individual transactions on a reconciliation. Important: This is a powerful tool. Be careful editing older reconciliations. Undoing a reconciliation also undoes all following reconciliations after the Reconciled on date. 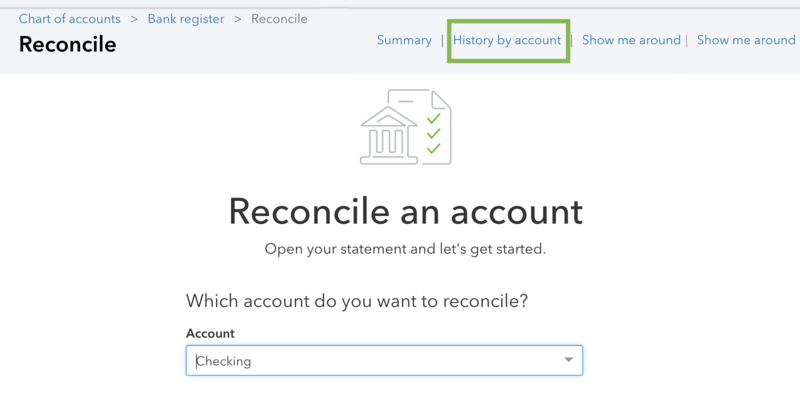 If your client reconciles their checking account every month and you undo a reconciliation from three months ago, you’ll also undo the following two months. Sign in to QuickBooks Online Accountant. Go to your Clients list. Find your customer and open their QuickBooks Online account. Select the account you want to reconcile and date range from the drop-down menus. Find the reconciliation on the list. If you haven’t already, select View report to open the Reconciliation Report. Review any discrepancies and changes your client wants to make. When you’re ready, select the arrow in the Action column, and then select Undo. Select Yes and then Undo to confirm. You and your client are now ready to redo the reconciliation.